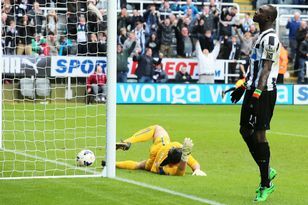 So does this mean Newcastle United are ready to splash out on at least one more centre-forward? 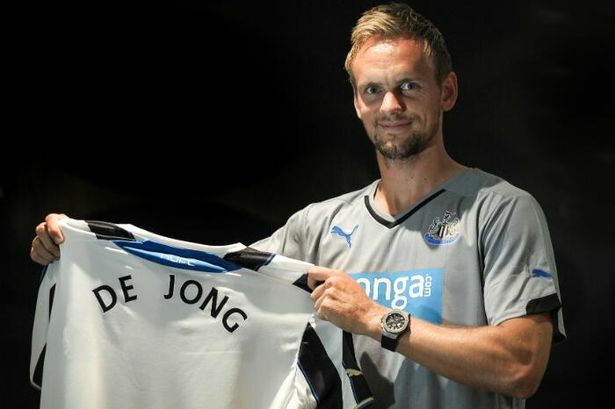 Newcastle United’s new signing Siem de Jong has stated his desire to play in a No 10 role and insisted he is not a natural striker. Alan Pardew said in the wake of the former Ajax captain’s arrival he was “really pleased we’ve managed to sign a striker early,” although the Newcastle manager did go on to make the point he would not know for some time what De Jong’s role would be in his side. Fans feared this meant the 25-year-old would be seen as the extra centre-forward the team desperate required and no other player in that position would be bought. Remy Cabella and Clement Grenier could still end up at St James’ Park this summer, but neither could in any way be described as a striker. While the capture of De Jong, the third signing of the transfer window after Ayoze Perez and Jack Colback, is good news for the supporters, the need for at least one more striker is inarguable given Papiss Cisse’s form and fitness – coupled with the fact Loic Remy and Shola Ameobi have left. This is especially true if De Jong is granted his wish to play in the withdrawn and creative role that made his name for Ajax. De Jong said: “I think I’m a smart player who looks for space during the game. “I can score goals and give assists and always work hard when we do and don’t have the ball. “Number 10 is my favourite position. I hope I can play in that position but I even played as a striker at Ajax a lot of times, not a real striker but more like one who comes into the midfield sometimes.” A signing of De Jong’s undoubted talent has raised the spirits of Newcastle supporters. Yet while it may have been done unwittingly, Mathieu Debuchy increased speculation his move to Arsenal was a forgone conclusion when the #NUFC reference on his Twitter account was removed. It does seem the right-back will be sold if Arsenal meet Newcastle’s valuation of £12m. Debuchy’s France face Germany tonight for a place in the semi-final of the World Cup, and the player himself knows he could be about to create history. He said: “This is an important meeting. “Playing in the quarter-finals of the World Cup does not happen every day. “It’s important for us, the French team, but also for the whole population of France. “We have confidence in ourselves.